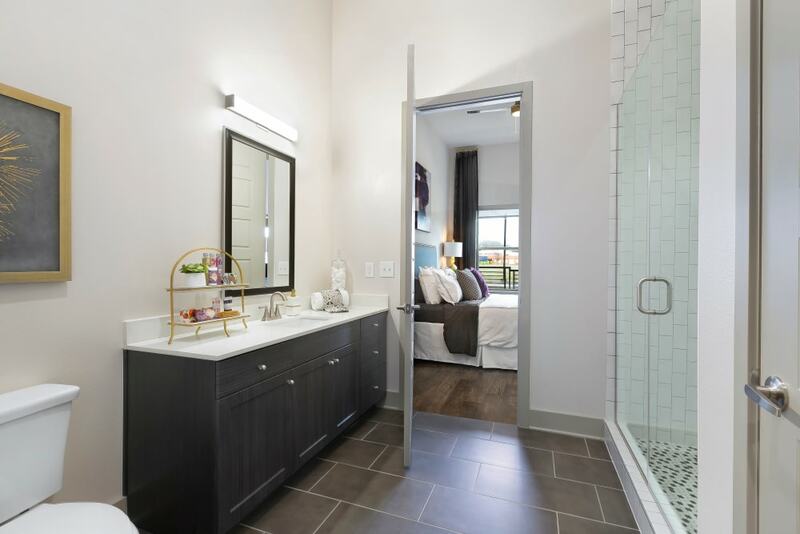 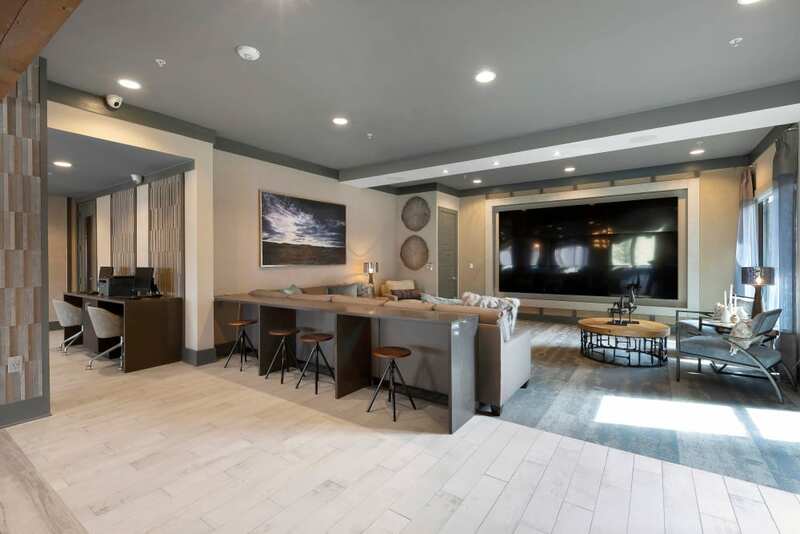 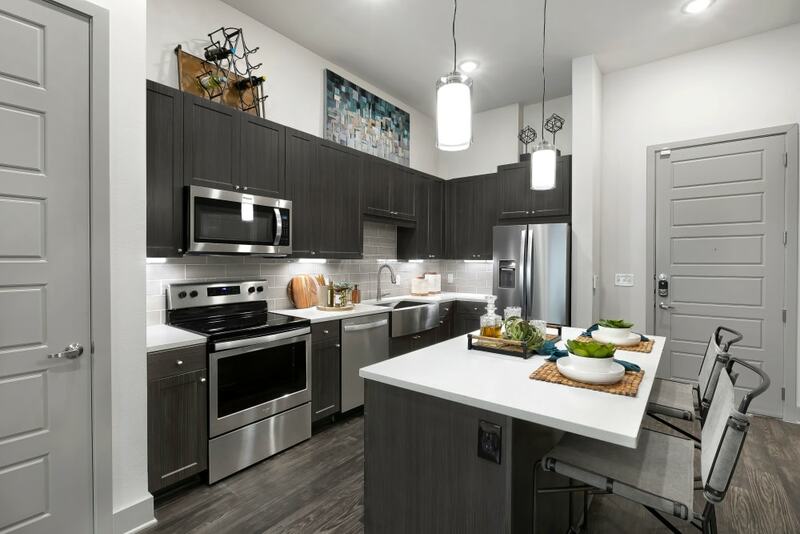 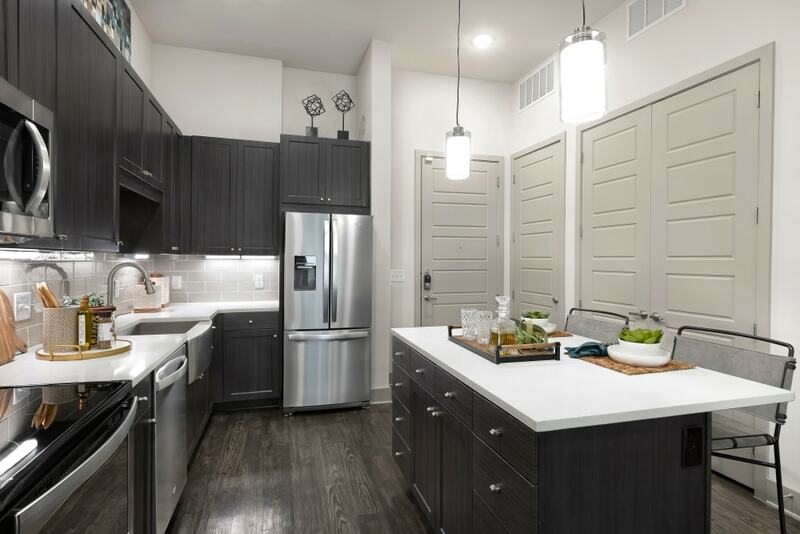 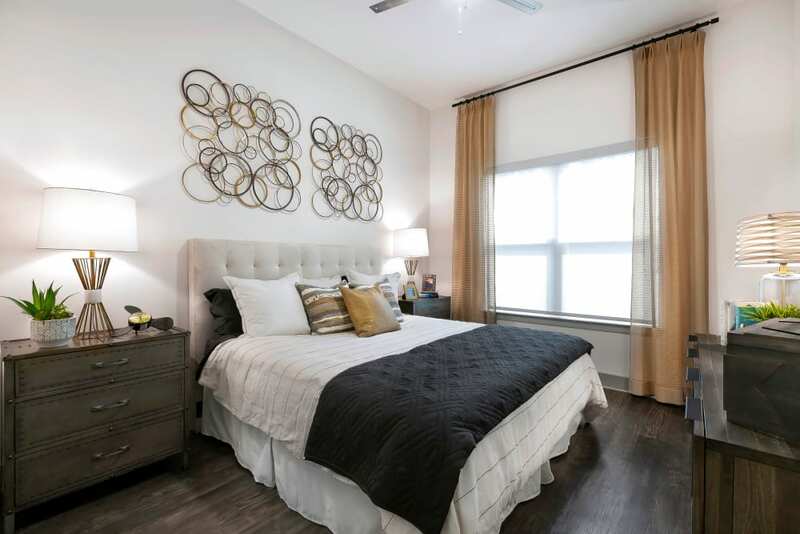 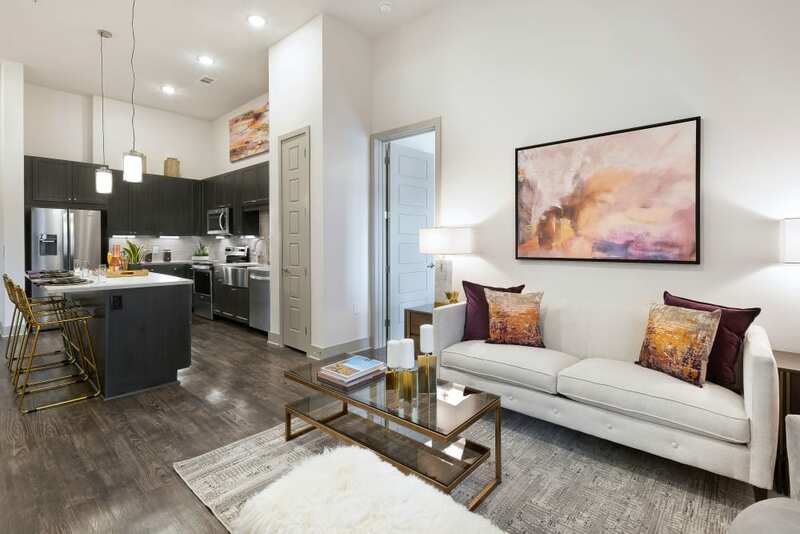 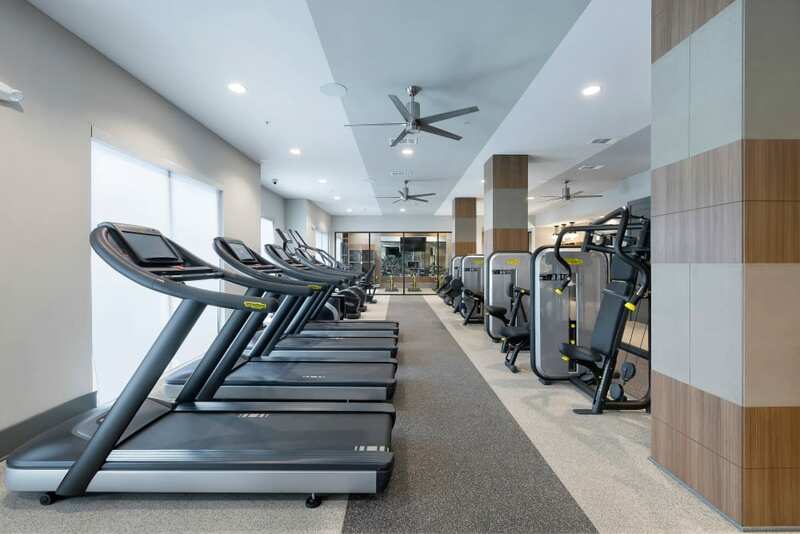 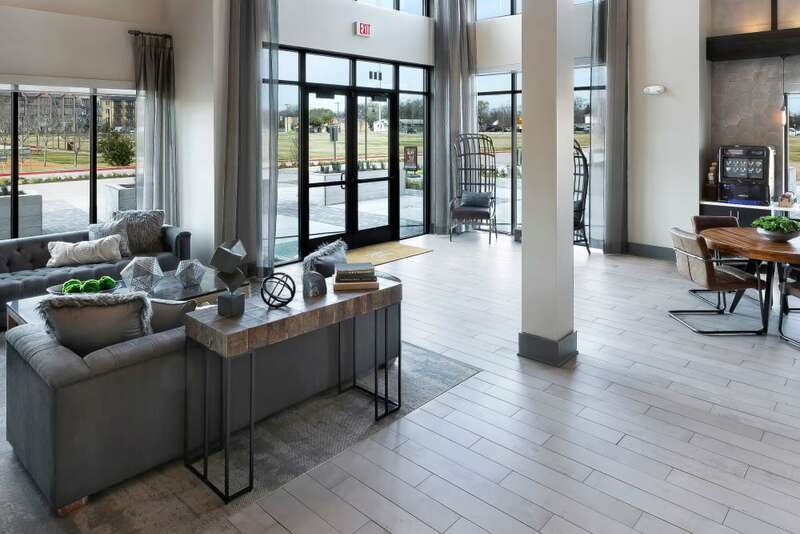 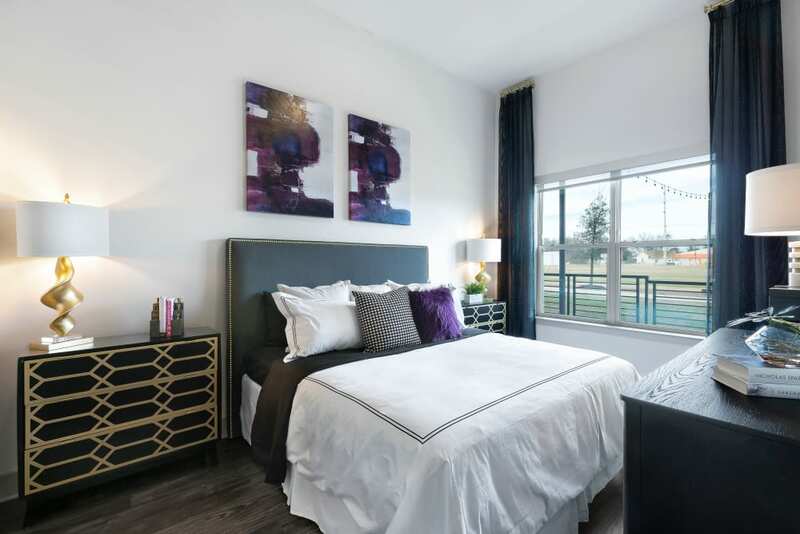 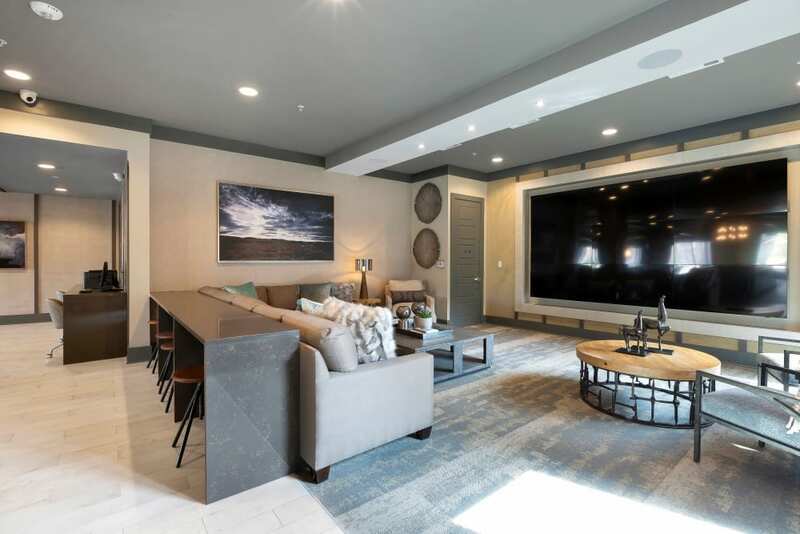 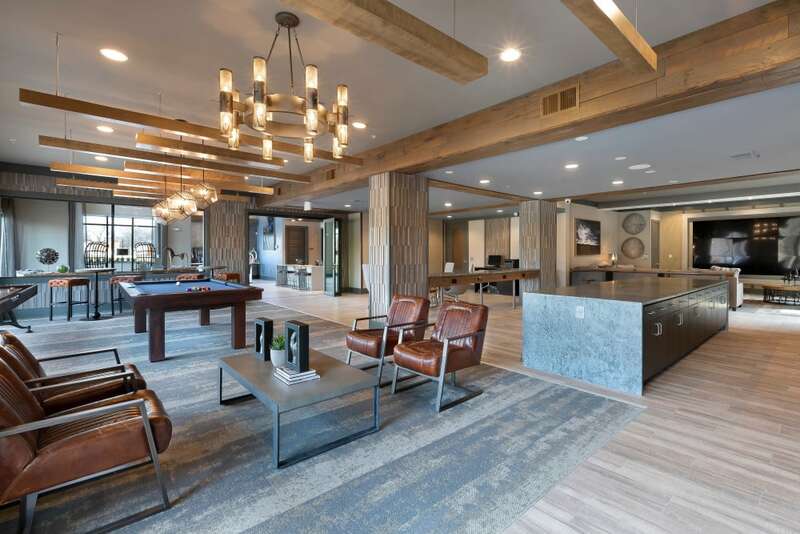 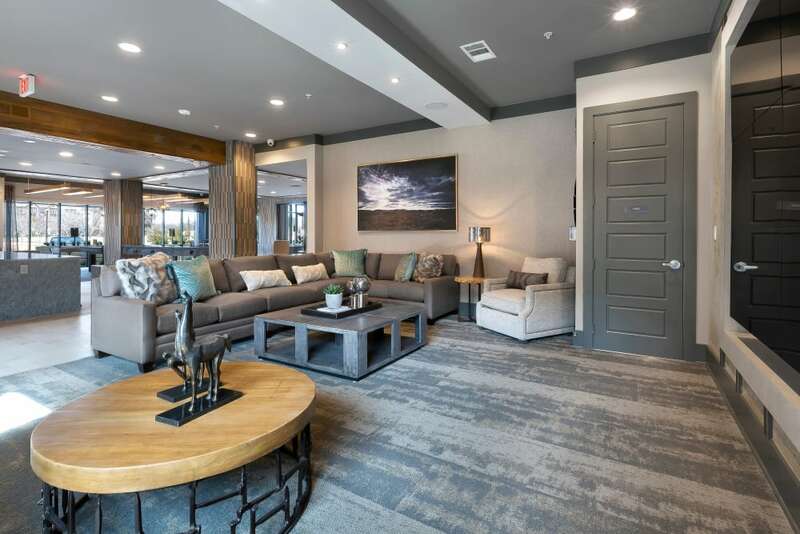 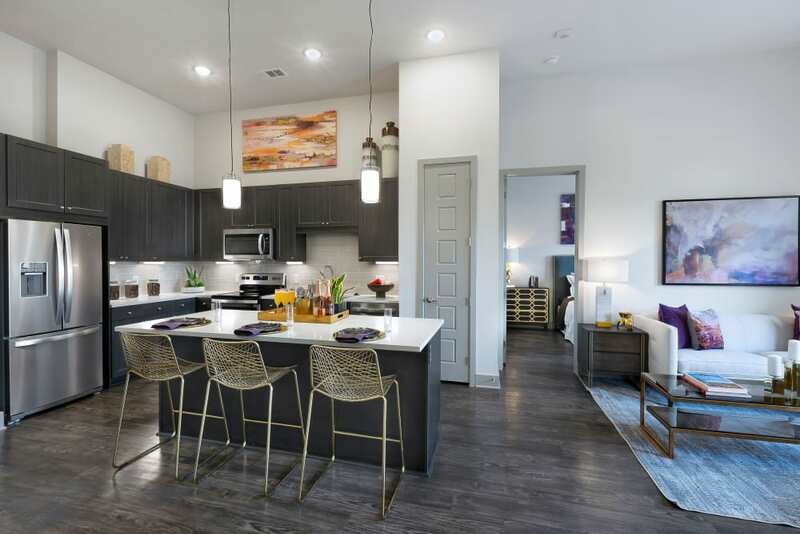 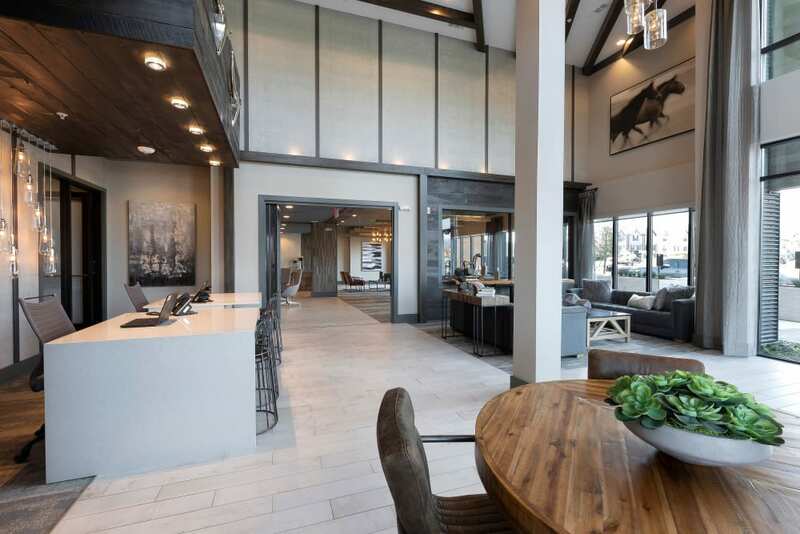 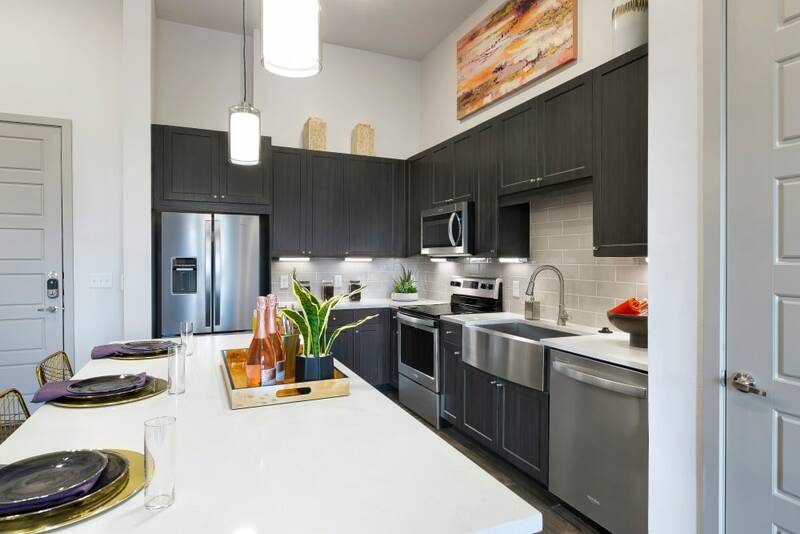 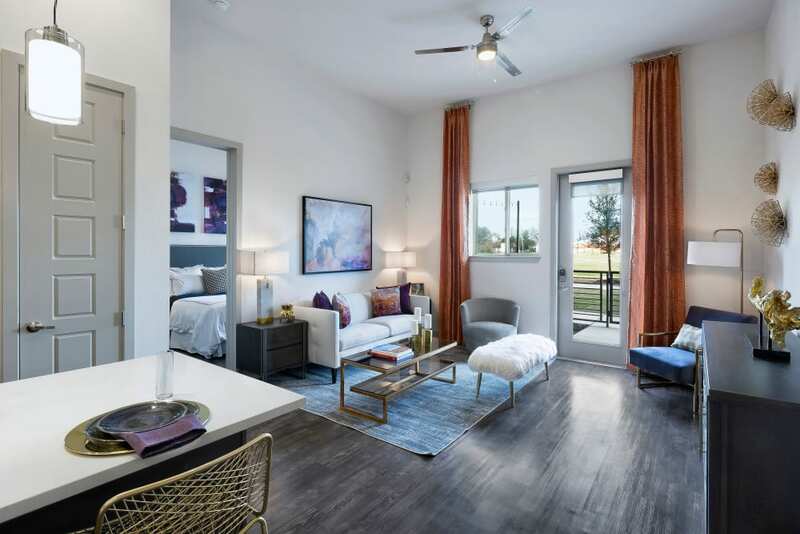 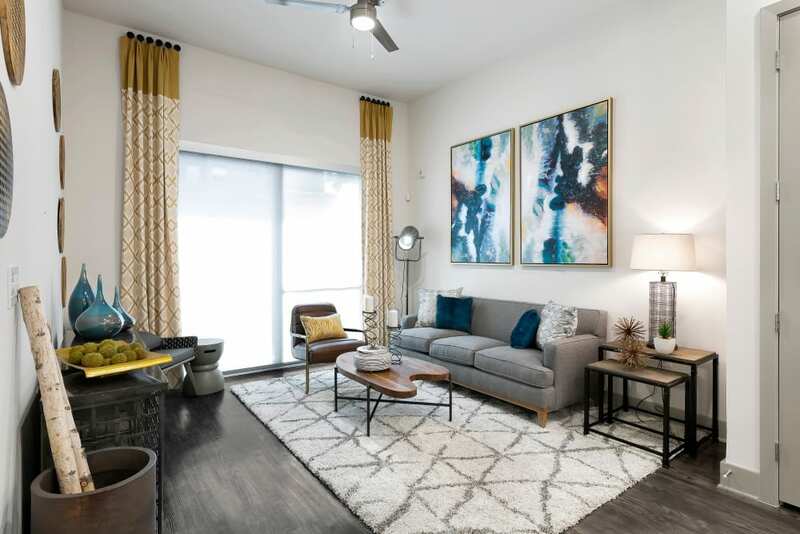 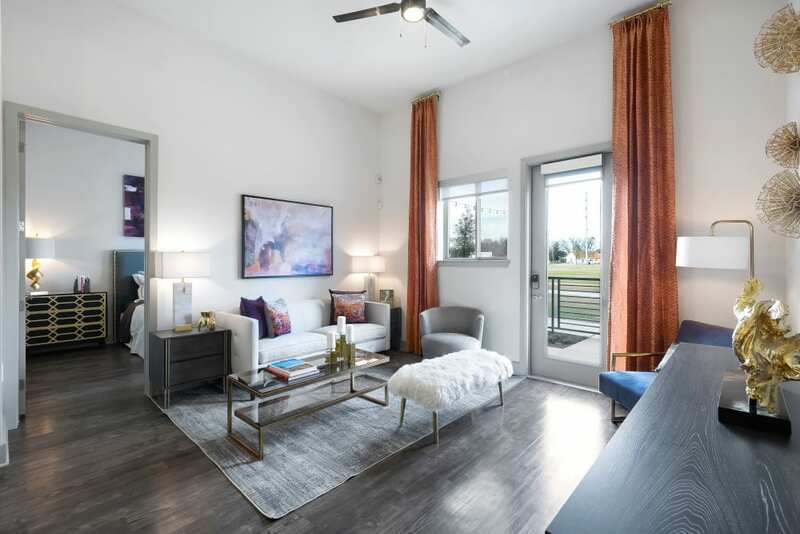 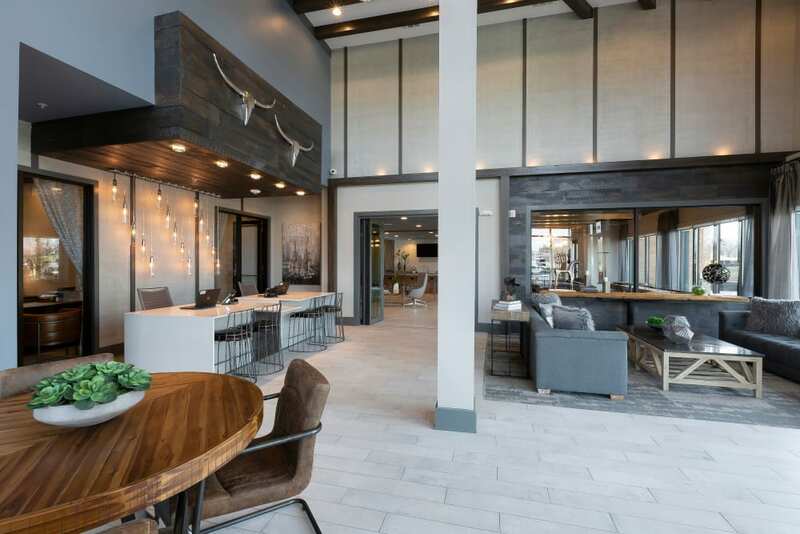 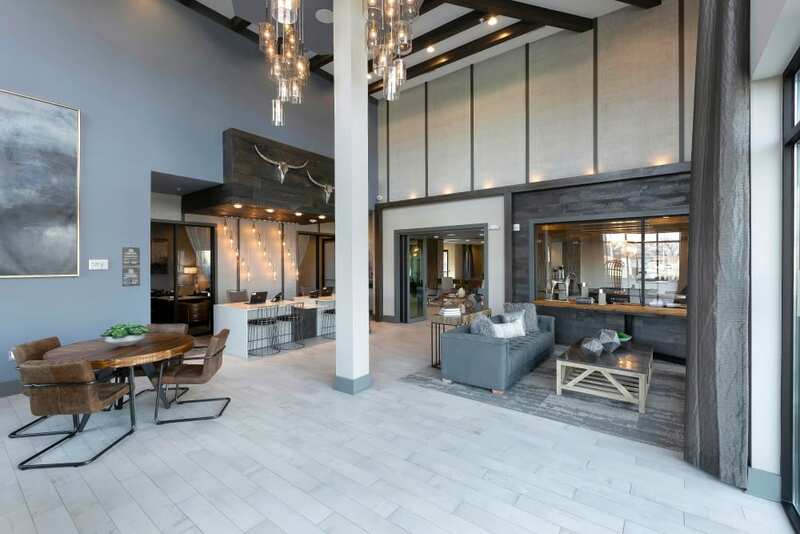 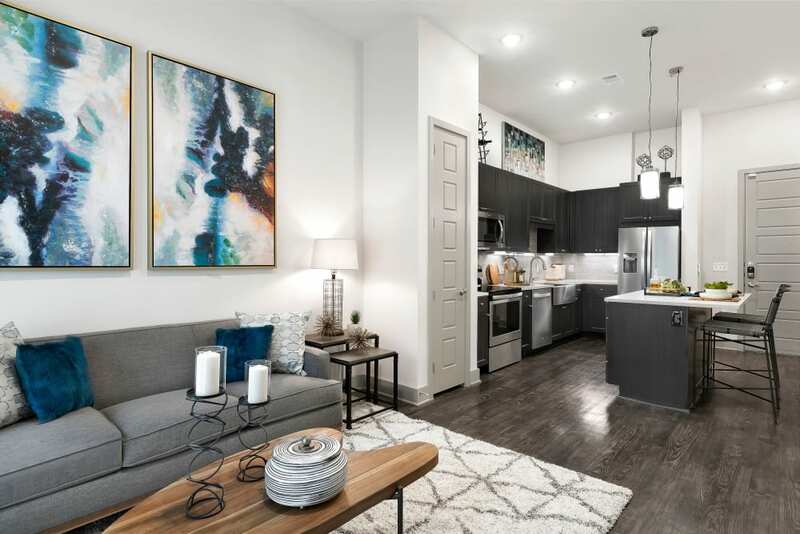 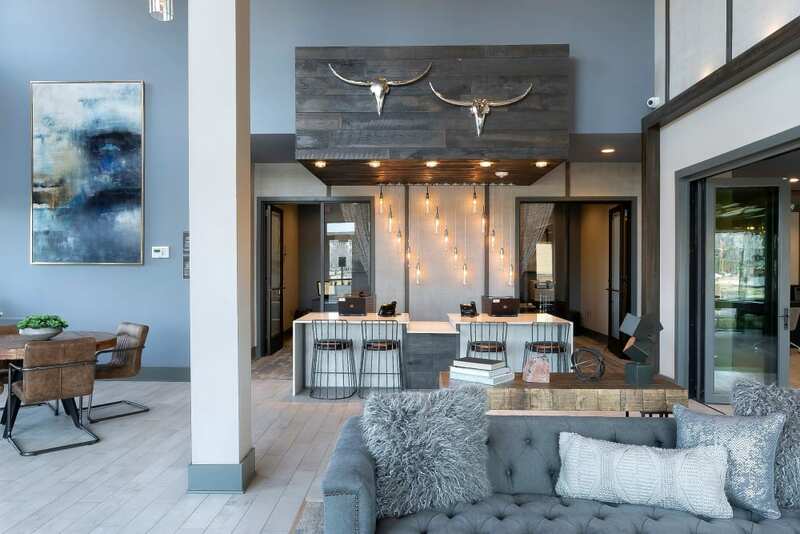 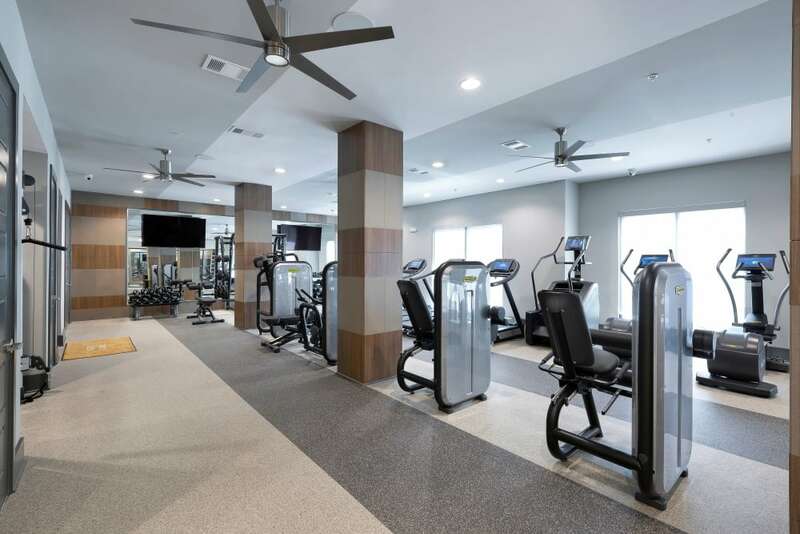 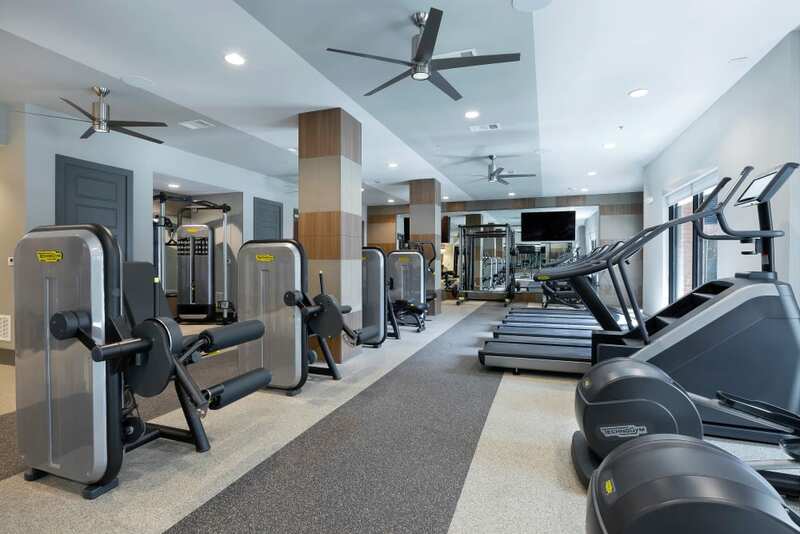 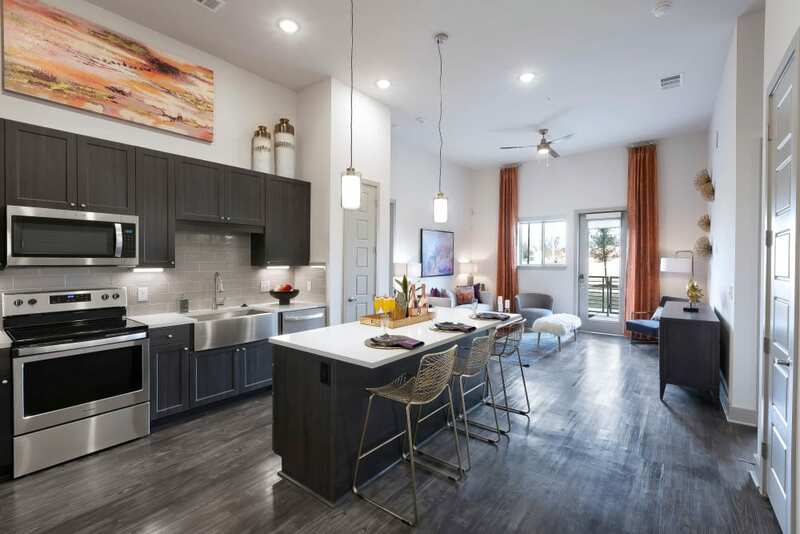 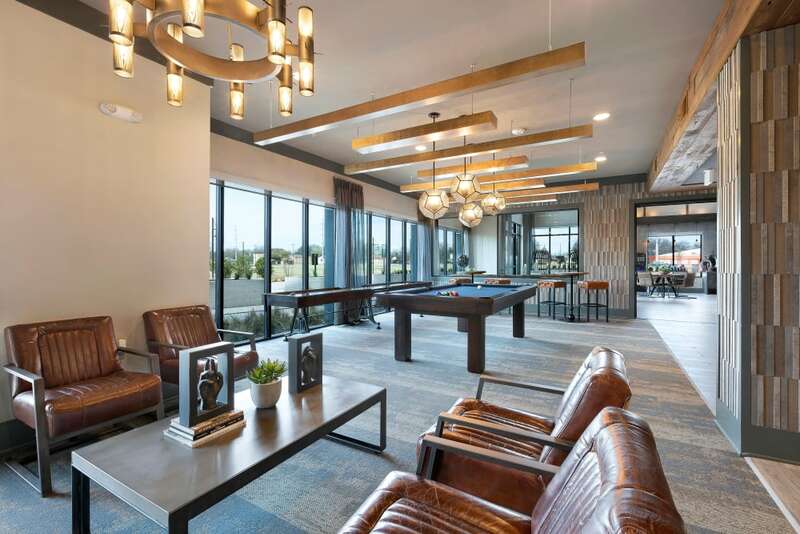 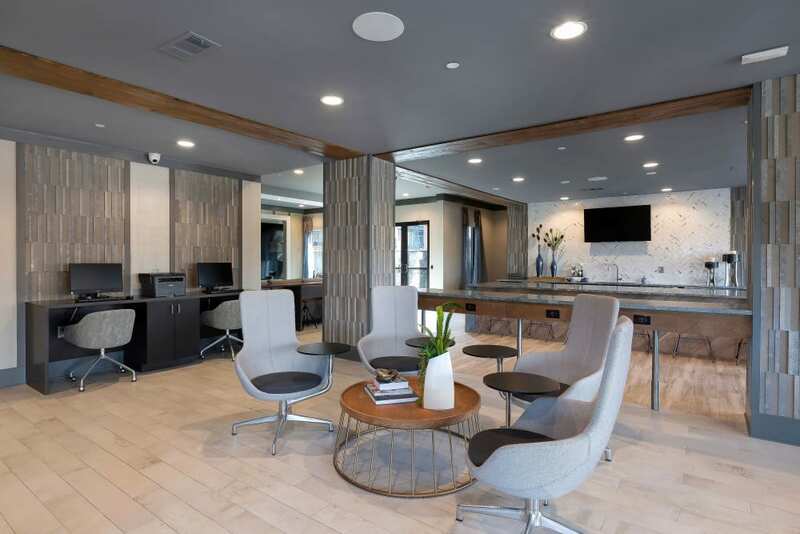 Browse the Alta Trinity Green photo gallery and take a step inside our Dallas, TX, studio, one, two, and three bedroom apartments for rent. 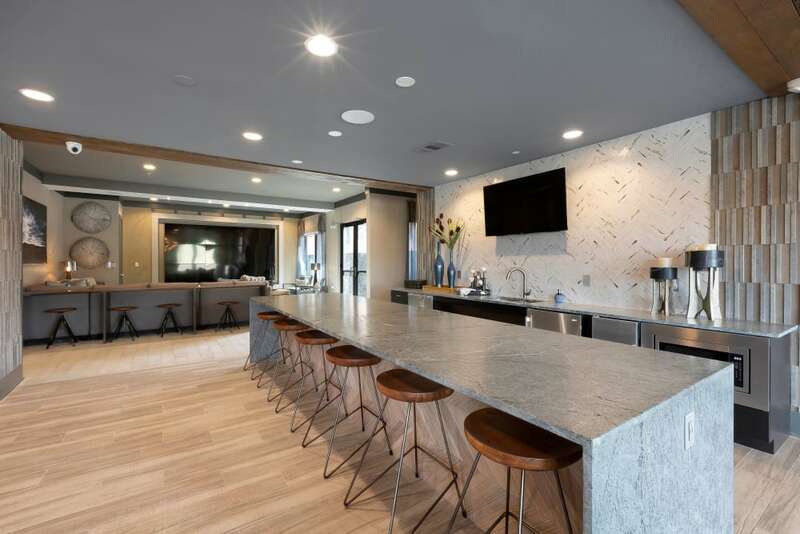 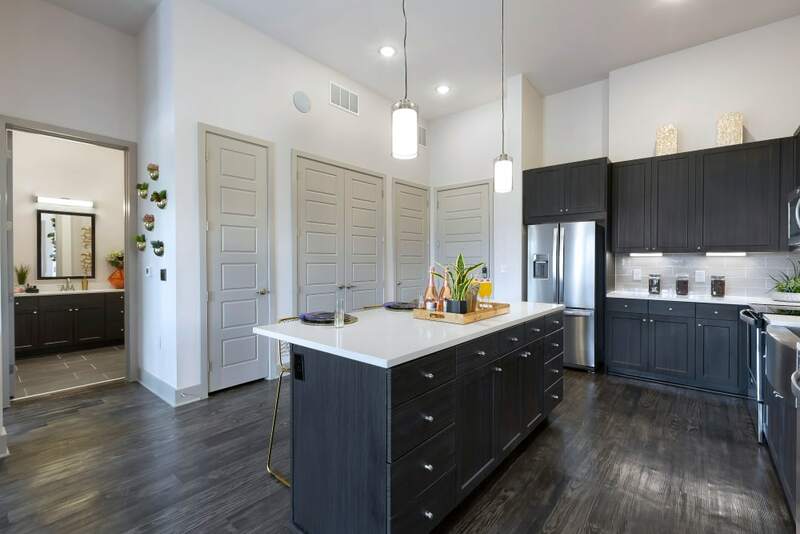 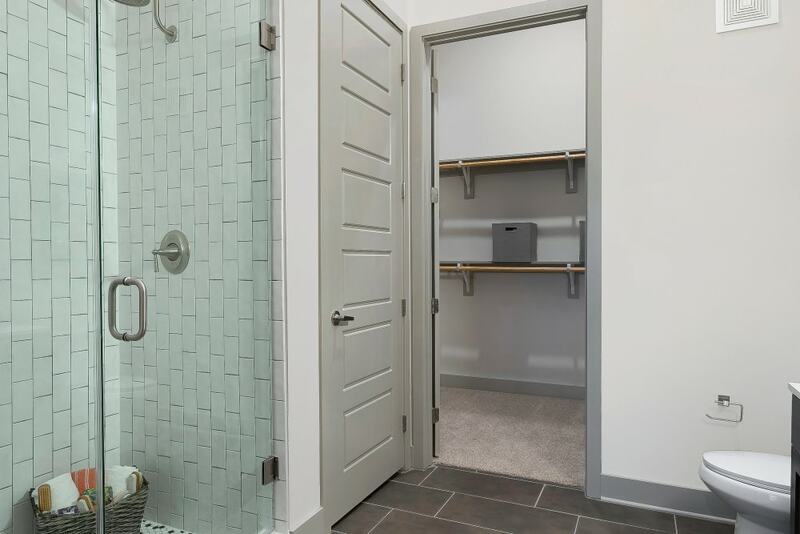 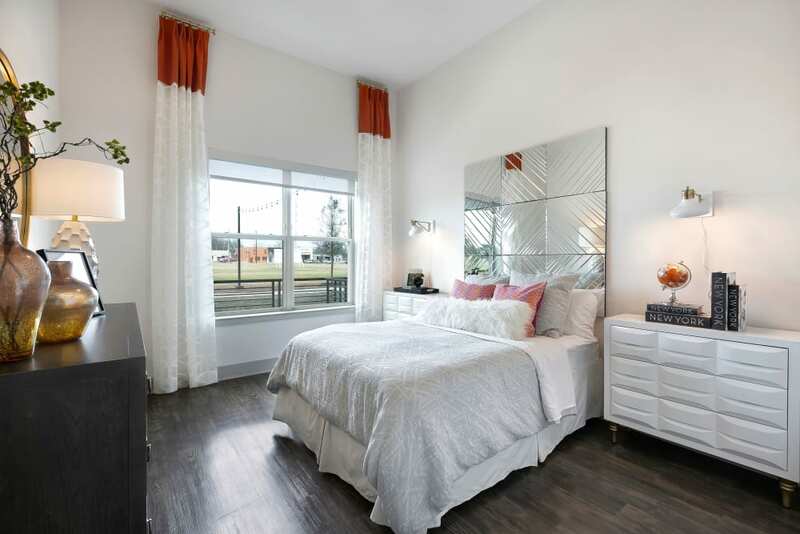 Located in the up-and-coming Trinity Green neighborhood, our stylish studio, one, two and three bedroom apartments for rent are handsomely equipped with all the extras you’ve come to expect in a luxury community. 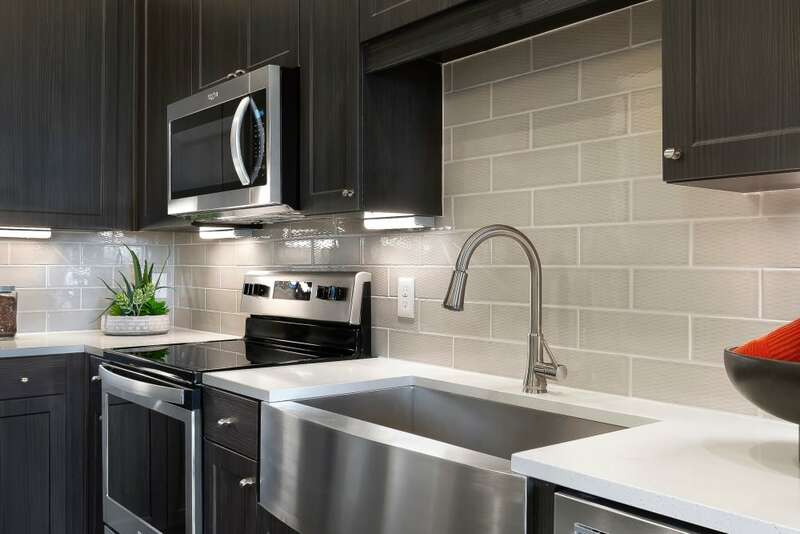 Hardwood-style flooring, a chef’s dream kitchen with white quartz countertops, and spacious ensuite master bath are just the beginning. 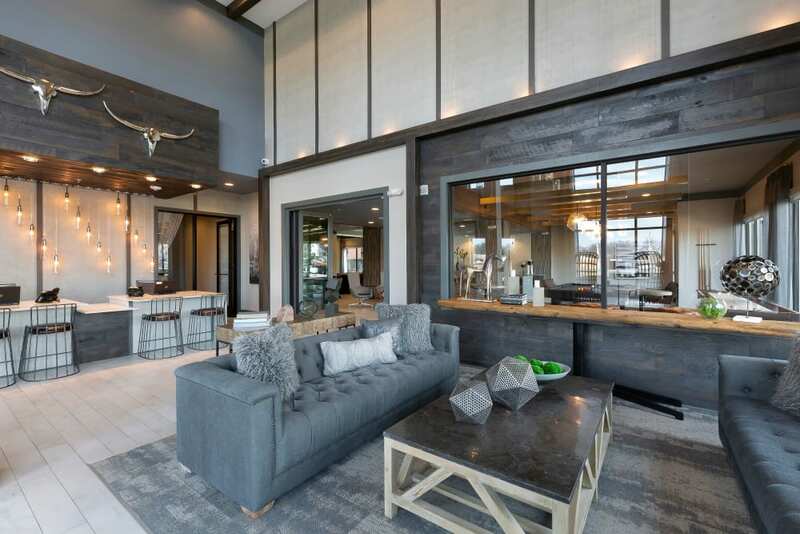 The energy of West Dallas can be felt at Alta Trinity Green. 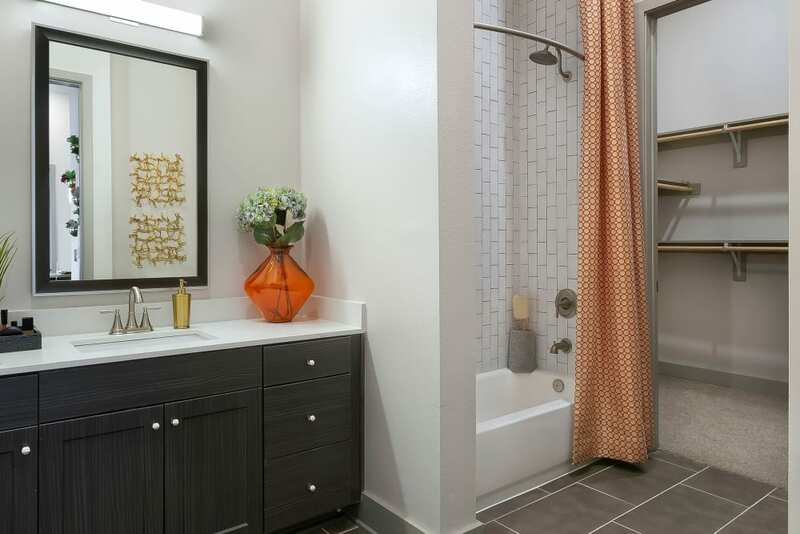 Take your dog for a walk at nearby Trinity River and then give them a wash at our onsite pet spa with blow-out station. 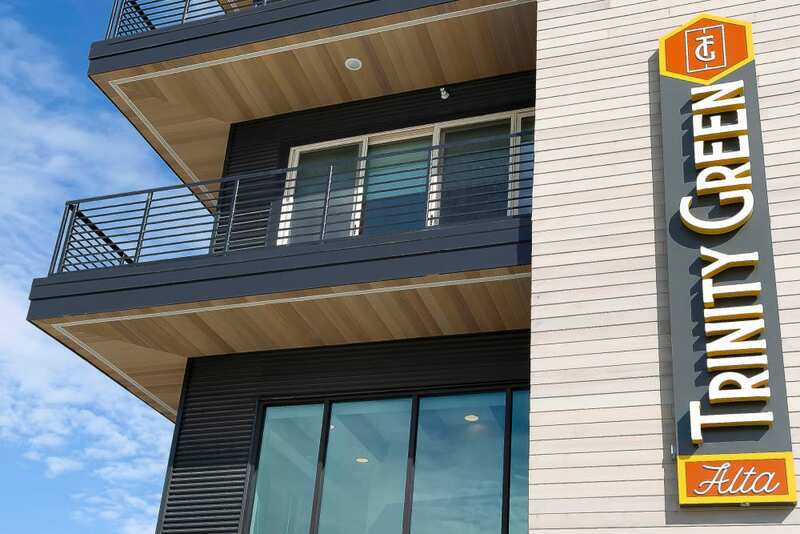 In the mood for even more outdoor time? 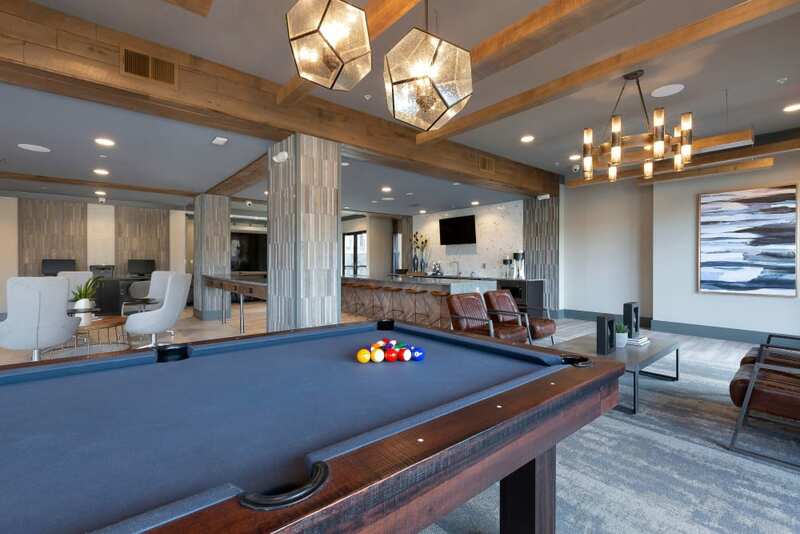 Splash around in the resort-style swimming pool, chill out by the fire pit, or sneak in a power nap in one of the many hammocks strewn around our property. 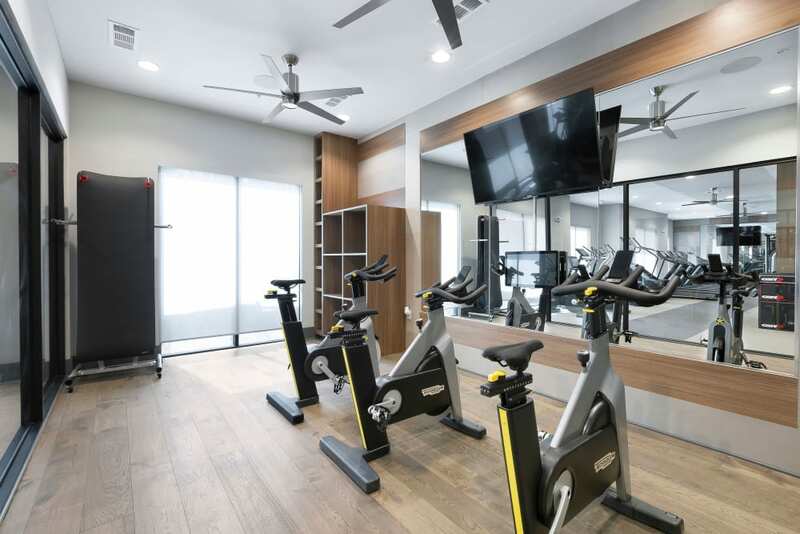 We also offer an interactive 24/7 athletic center with cardio theater, Technogym equipment, and individual free weight stations. 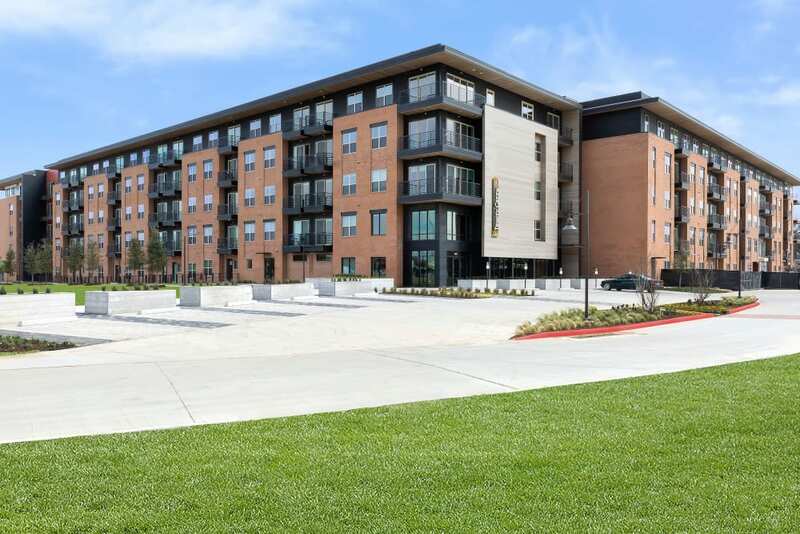 For more information on the opening of our community, contact us.